Not only do you get the award winning film (to be released for download soon), but also EXCLUSIVE behind the scene extras available for download right after purchase. Stay tuned for even more "EXTRAS" to be added. 'First To Fall' is a personal tale of friendship and revolution. Hamid (26) and Tarek (21) have never fired a gun, but in 2011 both abandon their peaceful lives as students in Canada to run recklessly toward an unconventional war in their homeland of Libya. The film captures the chaos and giddiness of revolution, the brutal loss of lives and innocence, and a deeply intimate view charting the young men’s decent into war as they discover who they are and what they are capable of. In Tarek's words, “The end of the story is different than what I thought." Available soon in French, Italian, Arabic, Czech, Spanish, and Portuguese. If you've already seen the film or interested in how the film came togther this package is for you. We will include deleted moments, behind the scenes footage, and outtakes from festival appearances. This package will continue to grow and with each new added video you'll get a notification for a new download. @OleSolvang @DeBalie Taking off from NYC. See you soon! Two friends abandoned their peaceful lives in Canada and return to their home country of Libya to fight in the revolution. Hamid (26) and Tarek (21) have never fired a gun, but in 2011 they run recklessly toward the war, fueled by their hatred of Muammar Gaddafi and their desire to be part of history. 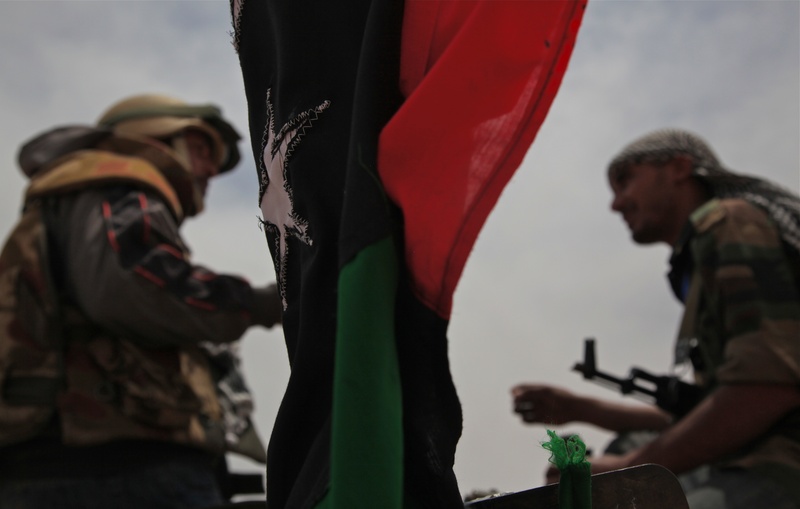 Once they get to Libya, their paths diverge immediately – Hamid blazes ahead with fearless enthusiasm, easily fitting into the boyish camaraderie among the rebel forces. Tarek’s journey is more introspective and unsure. He’s far from a natural-born soldier. Untrained fighters in an unconventional war, these boys risk everything to reach the front lines of battle. For eight months, the cameras document raw moments of personal and breathtakingly dangerous acts of war and sacrifice as Hamid and Tarek join the rebels taking on Gaddafi’s army.